The New York State Public Service Commission (Commission) today voted to further its Alternating Current Transmission Proceeding which will now advance to a competitive process managed by the New York Independent System Operator (NYISO). 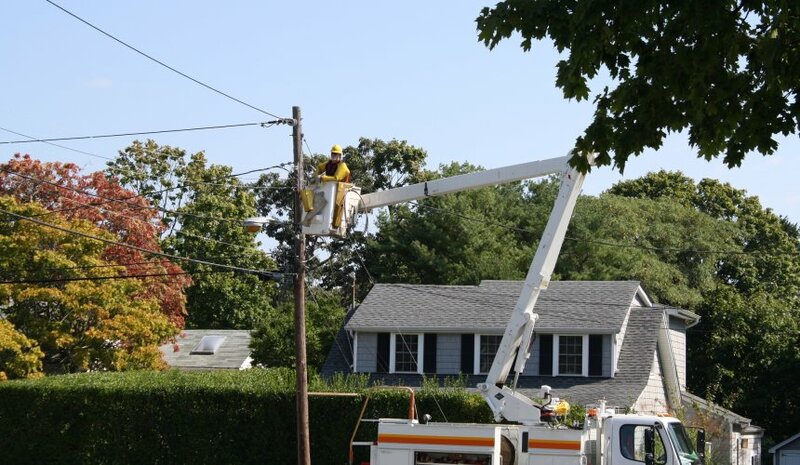 Today’s action limited the new transmission lines to replacement and upgrading of existing lines within existing rights-of-way, and adding new substation facilities at several locations, which will reduce or eliminate adverse environmental, landowner, and economic impacts. The proposed project provides $1.20 in benefits for every dollar that it costs. The state-of-the-art improvements proposed for 156 miles of high-voltage transmission lines, representing the backbone of the State’s electric transmission system running west to east and north to south, will provide numerous benefits including reducing grid congestion and allowing lower-cost electricity and renewable electricity being produced in upstate New York to flow to millions of downstate customers. Improving preparedness for and mitigation of impacts of generator retirements. Included within the Department’s review process, staff analyzed 4,500 comments and documents submitted in the proceeding, as well as participating in more than a dozen town, stakeholder and technical conferences. In terms of public participation, the proceeding was one of the largest in Commission history, with more than 30 staff members assigned and more than 120 individuals and organizations participating. To foster broader public participation, more than $2.3 million was made available to municipalities, community groups and environmental advocates to develop a full and complete record. Using existing rights-of-way, the transmission upgrade will have two primary segments [see map]: the first segment runs approximately 91 miles starting in Oneida County, through Herkimer, Montgomery and Schenectady counties, and ending in Albany County;the second segment runs 51 miles starting in Rensselaer County, through Columbia County and ending in Dutchess County. A related upgraded line runs 11 miles in Orange County. Oneida County to Albany County (91 miles): Construction of a new 345 kV line from Edic or Marcy to New Scotland on existing rights-of-way (primarily using Edic to Rotterdam right-of-way west of Princetown); construction of two new 345 kV lines or two new 230 kV lines from Princetown to Rotterdam on existing Edic to Rotterdam rights-of-way; decommissioning of two 230 kV lines from Edic to Rotterdam; related switching or substation work at Edic or Marcy, Princetown, Rotterdam and New Scotland. Rensselaer County to Dutchess County (54 miles): Construction of a new double circuit 345 kV/115 kV line from Knickerbocker to Churchtown on existing Greenbush to Pleasant Valley rights-of-way; construction of a new double circuit 345 kV/115 kV line or triple circuit 345 kV/115 kV/115 kV line from Churchtown to Pleasant Valley on existing Greenbush to Pleasant Valley right-of-way; decommissioning of a double-circuit 115 kV line from Knickerbocker to Churchtown; decommissioning of one or two double-circuit 115 kV lines from Knickerbocker to Pleasant Valley; related switching or substation work at Greenbush, Knickerbocker, Churchtown and Pleasant Valley. Rock Tavern Substation in the Town of Windsor, Orange County: New line traps, relays, potential transformer upgrades, switch upgrades, system control upgrades and the installation of data acquisition measuring equipment and control wire needed to handle higher line currents that will result as a consequence of the new Edic/Marcy to New Scotland; Princetown to Rotterdam and Knickerbocker to Pleasant Valley lines. Orange County (11 miles): Construction of a new double circuit 138 kV line from Shoemaker to Sugarloaf on existing Shoemaker to Sugarloaf right-of-way; decommissioning of a double circuit 69 kV line from Shoemaker to Sugarloaf; related switching or substation work at Shoemaker, Hartley, South Goshen, Chester, and Sugarloaf. Upgrading the backbone of the State’s transmission system was called for as part of Governor Andrew M. Cuomo’s Energy Highway Blueprint initiative. It is also an important building block under Reforming the Energy Vision (REV),Governor Cuomo’s long-term strategy to build a clean, resilient and affordable energy system for all New Yorkers.